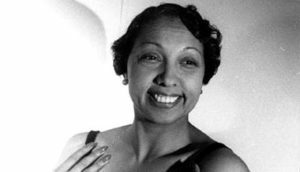 “Streetlight Harmonies,” by Brent Wilson and the documentary “Josephine Baker: Black Diva in a White Man’s World,” count among the highlights of the 12th annual African Diaspora International Film Festival which opens on Friday, August 17 at the Marvin Center at George Washington University in Washington, D.C. The three-day festival, which presents films to diverse audiences and redesigns the Black cinema experience by strengthening the role of African and African descent directors in contemporary world cinema, will feature 16 films that will take audiences in and out of the United States, including eight that will have their premieres in the nation’s capital. The opening night film, “Timeless,” by Ed LaBorde counts as a love story that transcends time from 19th century Ghana to the modern- day Caribbean. Some of the social issues explored in the film are the human trafficking of the slave trade in the past and the present-day human trafficking in the Virgin Islands, as well as political corruption and immigration. Festival organizers also plan to present the premiere screening of the award-winning drama, “The Citizen,” a narrative about middle-aged African political refugee (Wilson) who seeks Hungarian citizenship. The film has already earned acclaimed from critics at The New York Times and other publications. The festival also includes a special program where films depict the lives of a native of one country who moves to another nation like, “African Americans in Europe,” which features a Josephine Baker documentary by Annette von Wangenheim. “The Good Life—or La Belle Vie—by Rachelle Salnave reflects on the cultural crossfire she experienced as a Haitian-American growing up in Harlem juxtaposing her parents’ memories of noble family histories with a humble working- class reality.